We will be delivering at the same level as we do during Fringe. An exciting range of work is set to hit our stage. And, as with the fringe we are starting small with the sky as our limit for the future. Come and enjoy more of the great Holden Street curated programming this November. Come and join our first ever Feast Festival program and be a part of the next exciting journey in our future. Feast is Adelaide’s only not-for-profit LGBTI Queer Arts and Cultural Festival that celebrates Pride and Diversity. Feast began in 1997 providing a safe and inclusive platform for the LGBTIQ community to share and express themselves through art and culture. Feast is one of 10 major Festivals in South Australia and is the 3rd largest LGBTIQ Festival in the country. Feast is an International event, bringing performers from all over the world, such as 2014 Eurovision song contest winner Conchita Wurst, Buck Angel, Matthew Mitcham, Dannii Minogue and many more, attracting visitors from near and far. Feast is an incorporated organisation governed by a Board of Management consisting of arts industry professionals, business people and community members. Feast acknowledges that we celebrate our diversity on Kaurna land. 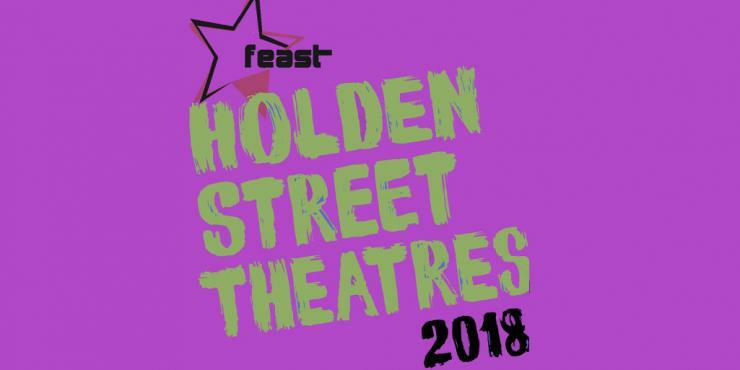 Holden Street Theatres are proud to be the Theatre Hub for Feast Festival 2018!